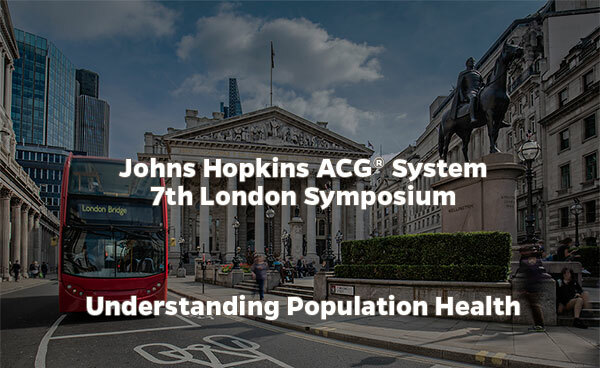 Our 7th London Symposium “Understanding Population Health” took place in April. An in-depth understanding of their populations’ health needs is crucial to success. Speakers from various UK and international organisations including NHS England, NHS Clinical Commissioning and Johns Hopkins HealthCare shared their challenges and their success with population health analysis to gain the insights needed to achieve their goals at our most recent London Symposium. Professor David Colin-Thomé is an Independent Health Care Consultant and an honorary visiting professor of Health Policy and Management at Manchester University. His prestigious career has given him extensive experience of working within the NHS. David’s career began as a Runcorn GP and has included roles at the Department of Health as National Director for Primary Care and Medical Adviser to the Commissioning and System Management Directorate. Prior to being appointed as National Clinical Director, he was Director of Primary Care at the Department of Health’s London Regional Office, and Senior Medical Officer at the Scottish Office NHS Management Executive, he was also formerly a member of Halton Health Authority, Cheshire Family Health Services Authority and a local councillor. He was awarded the OBE in 1997. 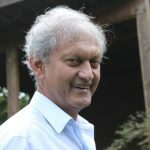 David’s understanding of the challenges facing health care providers and desire for continuous improvement of health care services is demonstrated by the wide range of organisations he has worked with, the groups he has chaired and the extensive number of publications and reports he has penned. More recently he has developed a model of care called the ‘Primary Care Home’, a form of which, has been accepted for use in England. The use of the model in practice utilises high quality information about the population and then seeks to reduce costs, realign services and move care into the community and primary care settings. Professor Nick Harding OBE is Chair for Sandwell and West Birmingham Clinical Commissioning Group, actively involved in primary care transformation and leadership development. With a compelling vision ‘Healthcare without boundaries’, Nick created a CCG that works across two local authorities to deliver a planned new hospital and care closer to home with more prevention. The CCG is one of 10 ‘outstanding’ CCGs in the country. 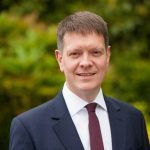 He undertakes a number of roles including GP Partner at Modality Partnership, honorary Professor at Aston Medical School, and member of Birmingham Health Well Being Board and West Midlands Clinical Senate. Nationally he is co-chair for the specialised commissioning oversight group to help move commissioning of specialised services and evaluator for new models of care. He is an invited member of Nuffield Leadership Panel, Mulberry Group (top NHS Leaders’ think-tank) and editorial reviewer for British Journal of General Practice. Nick is committed to supporting GP leaders of the future to ensure there is an effective leadership voice for primary care within a new healthcare system. His clinical specialist interests include occupational medicine and cardiology and he holds multiple appointments. Outside of working hours Nick is involved in delivering health education in Malawi. He is passionate about delivering high quality primary care and is absolutely determined to help achieve change and transformation in health services for patients. Available exclusively to conference attendees.